Are You Confused About Fiber? 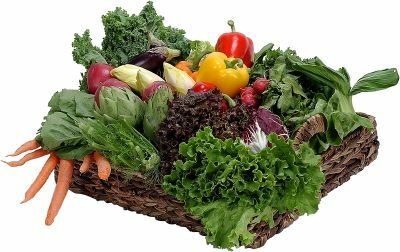 Dietary fiber, sometimes called roughage, is the indigestible portion of plant foods having two main components: soluble and insoluble fiber. Scientists divide fiber types into viscous (soluble) and insoluble fiber because each name can tell a researcher what to expect as far as how it affects the body. Both kinds of fiber are helpful. For example, insoluble fiber adds bulk to your stool and speeds transit time through the large intestine, helping to prevent everything from constipation to painful hemorrhoids, while lowering the risk of certain cancers such as colon cancer. Viscous fibers form a liquid or gel solution when combined with water in your digestive system. They help prevent spikes and crashes in your blood glucose and help reduce cholesterol. How much fiber do you need? The National Academy of Sciences established an Adequate Intake (AI) level of 38 grams of total daily fiber for males 19-50 years of age and 25 grams for women in this same age range. It turns out that most Americans in this age range typically get only about half this much fiber each day, and many even less than that. Here’s the good news: whole (unrefined) plant foods, including fruits, vegetables, whole grains, legumes (beans), nuts and seeds, all have plenty of both kinds of fiber, though one kind or the other will predominate in any given plant food. However animal foods, such as meat, dairy and eggs, have none at all. This gives the vegetarian quite the health advantage. But here’s a word of warning for all those in transition towards a vegetarian diet (and especially those starting fiber supplements). Increase your fiber intake slowly in order to avoid gas and loose stools. In time, you’ll find that you’ve never felt so good once you’re following a high fiber diet!